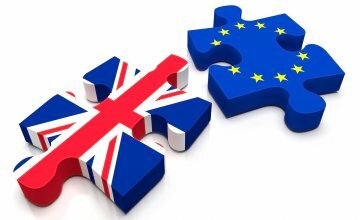 Is anything going to change for NDT post-Brexit? With Prime Minister Theresa May signing article 50 and giving official notice to the European Union of the UK’s intent to leave the EU this week, Johnson & Allen want to offer clarity on what this means regarding NDT standards. The short answer is that the British Standards Intuition (BSI) will largely continue operate as it has done in the past, offering guidance and setting minimum industry standards. “Following the result of the UK referendum, BSI is continuing to help organisations achieve their goals as we have done for the past 115 years,” BSI said in a recent statement. BSI, as the UK National Standards Body, has been working with key bodies within the UK economy and communicating the need for supporting trade, growth and productivity. Once article 50 is triggered it will begin a 2 year withdrawal period as the UK and EU negotiate the terms of the relationship they want to have after ‘brexit’. And also the terms by which the UK trades with countries outside the EU. How does BSI expect this to affect the various roles of the National Standard Body? BSI will continue to develop and publish British Standards. No changes are anticipated which is great news for Johnson & Allen’s UK customers and should mean few changes for many organisations. The BSI is a member of three European standardisation organisations – CAN, CENELEC and ETSI. BSI membership of these groups is independent of the UK’s wider membership of the EU however, and this will continue to be the case even when the UK leaves the EU. "Business as normal" in BSI’s own words. CEN and CENELEC are private organisations that work with bodies across 33 countries to disseminate European standards. Membership of these groups entails adopting common minimum standards and removing contradictory national standards with the aim of facilitating greater international trade. Over the coming years BSI will continue to work with the CAN, CENELEC, UK government (Specifically the Department for Business, Energy & Industrial Strategy, the Department for Exiting the European Union and the Department for International Trade) regarding BSI’s role in the development of Europe wide common standards. BSI expects to remain a full member of CEN and CENELEC post-Brexit to maintain and shape future European standards. This would bring maximum benefit to the UK economy and society in its new status outside the EU, as reciprocity of market access with European countries and the maintenance of a unified domestic market structure across the UK facilitates trade and reduces complexity for SMEs and consumers; Ultimately saving time, money and effort while ensuring product quality and safety. BSI’s membership of the two international standardisation organisations, ISO and IEC, will be unaffected by a UK exit from the EU. BSI is committed to representing the UK’s interests in the creation of international standards that support innovation and provide solutions to global challenges. This is again great news for all Johnson & Allen customers - Both our UK customers and those outside the UK.